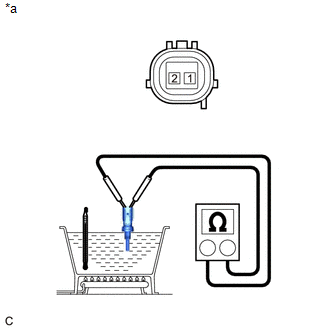 (a) Partially immerse the engine coolant temperature sensor in water and warm up the water. When checking the engine coolant temperature sensor in water, keep the terminals dry. After the check, wipe the sensor dry. 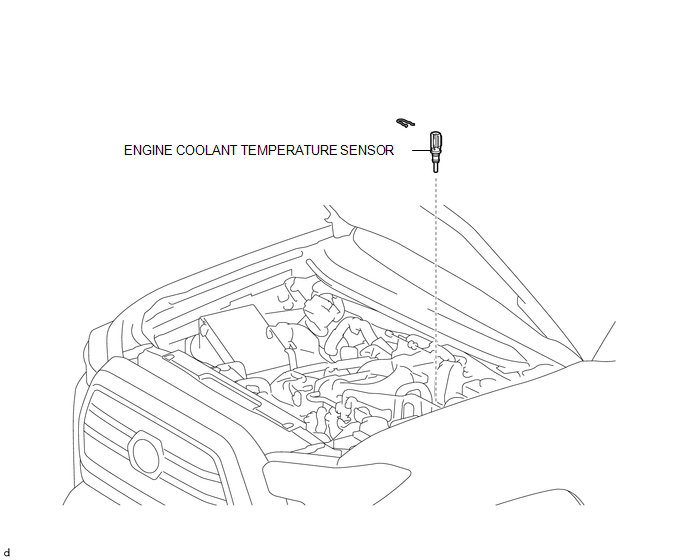 (a) Apply a light coat of engine coolant to the O-ring of the engine coolant temperature sensor. When reusing the engine coolant temperature sensor, inspect the O-ring. Make sure that the O-ring is not cracked or jammed when installing it on the rear water by-pass joint. (b) Install the engine coolant temperature sensor to the rear water by-pass joint with the clip. (c) Connect the connector to the engine coolant temperature sensor. 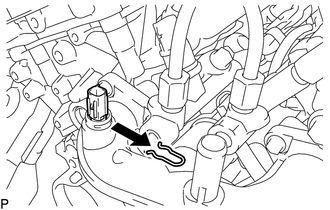 (a) Disconnect the connector from the engine coolant temperature sensor. (b) Remove the clip and engine coolant temperature sensor from the rear water by-pass joint.